From Croft’s beautiful range of window fittings, the Croft Lockable Double Night Vent Fastener – Reeded has been attractively designed in the classic Croft style. 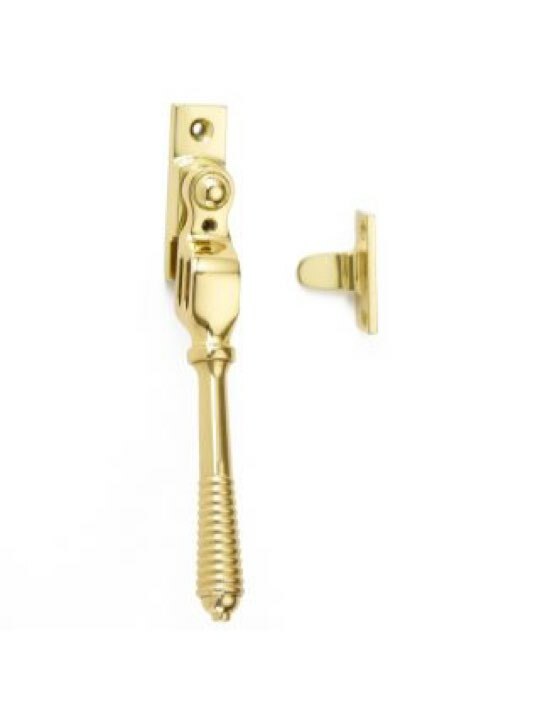 Measuring 55mm x 17mm, this night vent fastener comes in an incredible range of finishes which can be categorised as follows; brass finishes, bronze based finishes or applied finishes. There are a wide range of options within each category, so please contact our sales staff on 0141-429-5191 to specify your requirements in detail once you have placed an order.